The UK is in pole position in the global race to market for connected and autonomous vehicles (CAVs), with a £62 billion boost to the UK economy by 2030 up for grabs, according to a major new report published by the Society of Motor Manufacturers and Traders (SMMT) and Frost & Sullivan. The report titled: Connected and Autonomous Vehicles: Winning the Global Race to Market, analyses the wide-ranging societal and economic benefits to be achieved by gradually increasing CAVs on our roads. The report identifies that the UK is in a strong position to capitalise, with more than £500 million already committed by industry and government to CAV R&D and testing. Autonomous driving trials are taking place across many major towns and cities, and we are home to four major CAV test beds and three additional sites focused on highways, rural and parking, with more than 80 collaborative R&D projects underway. The next game-changing step is to move from testing CAV technologies to deployment in the real world. Advanced driver assistance systems (ADAS) such as Autonomous Emergency Braking and Collision Warning are already available on the majority of new cars registered in the UK. Combined with the gradual introduction of automated vehicles from 2021, this will deliver massive safety benefits. Over the next decade, the technology is set to prevent 47,000 serious accidents and save 3,900 lives. 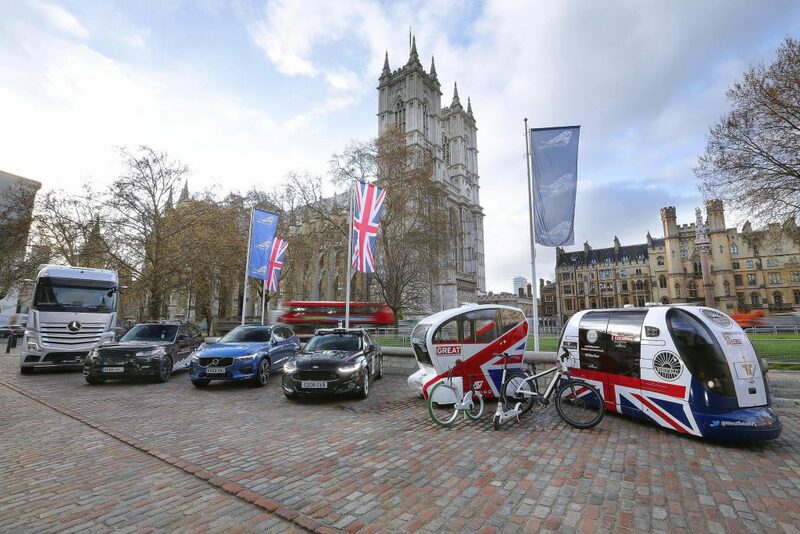 The report pinpoints three critical areas that will help CAV rollout and in which the UK has a significant advantage: supportive regulation, enabling infrastructure and an attractive market. With the world’s first insurance legislation for autonomous vehicles already in place, the most comprehensive review of road transport underway and more miles across motorways, urban and rural roads able to be driven autonomously, the UK is already ahead of global rivals in its readiness to commercialise self-driving technology. The report ranks the UK above other major automotive countries, including Germany, US, Japan and South Korea as a global destination for the mass rollout of CAVs.